1. 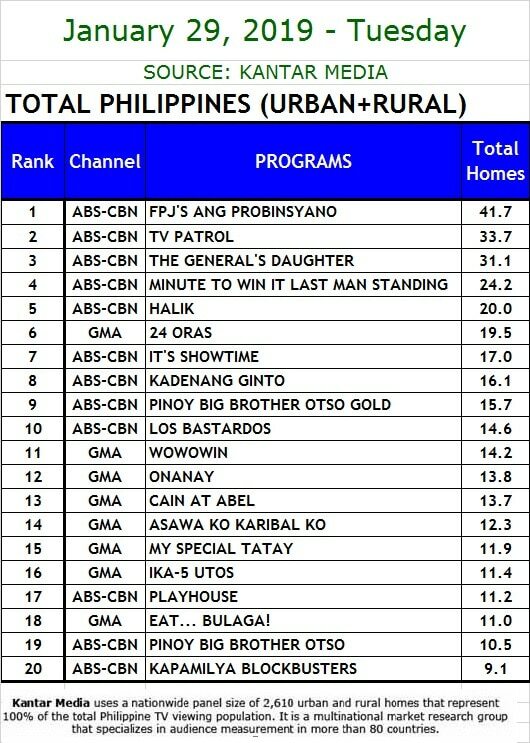 “FPJ’s Ang Probinsyano” remained within the 40%-mark as it scored a national TV rating of 41.7% last Tuesday (Jan 29) versus “Cain at Abel” (13.7%). 2. 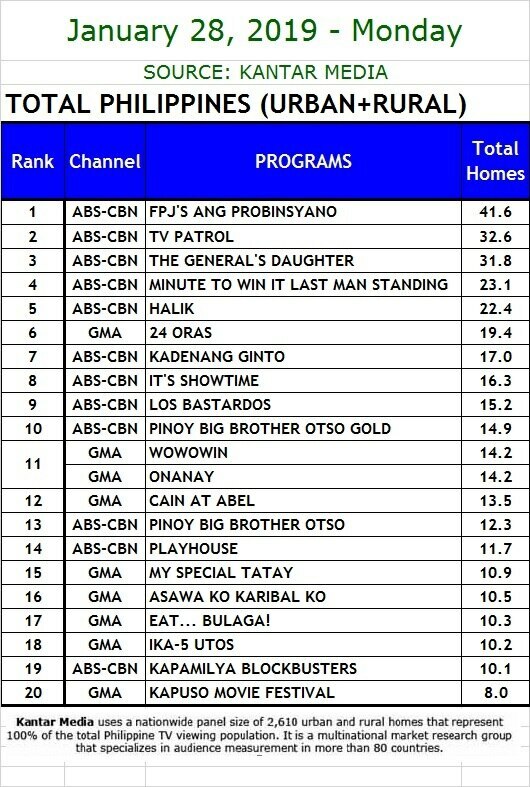 “TV Patrol” sustained its lead with a national TV rating of 32.6% last Monday (Jan 28), compared to “24 Oras” (19.4%). 3. 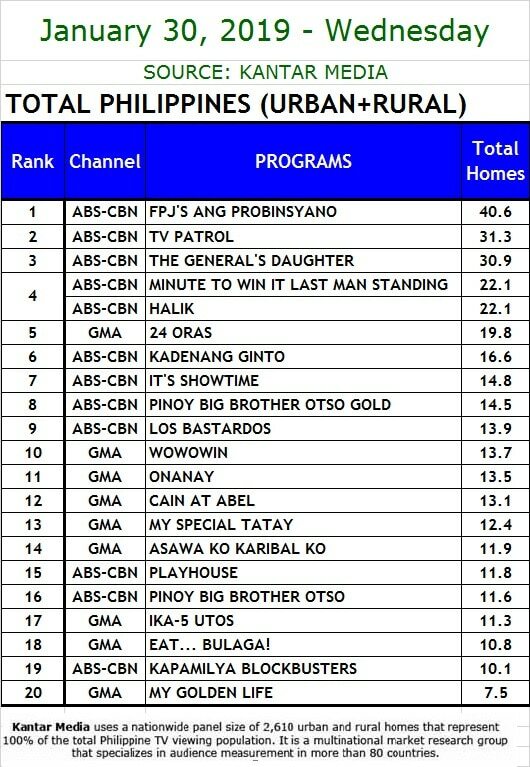 “The General’s Daughter” maintained its high national TV rating with 31.8% last Monday (Jan 28), while “Onanay” only got 14.2%. 4. 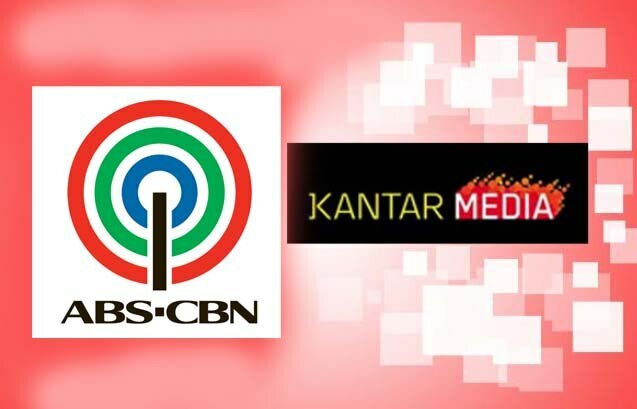 “Halik” continued to top its timeslot with a national TV rating of 22.1% last Wednesday (Jan 30), beating “My Golden Life” (7.5%).